The healthcare industry is experiencing unprecedented growth for the past couple of years, with the expansion in its scope and the range of services being provided. What used to be an exclusive, highly skilled industry, has grown to be a great revenue stream for a variety of healthcare businesses. Undoubtedly, it is a great business to be in and as the private sector emerges as a vibrant force in the industry. Certainly, you might want to get your share of the market potential. There are so many possibilities you can take advantage of, from hearing aids manufacturing businesses to pharmaceutical development and research. Starting out in the healthcare industry, one that has huge growth potential, automatically indicates great promise for your business. The healthcare industry calls for a certain amount of expert knowledge and skill to observe how to run a business successfully. However, franchise options, provided by some of the biggest names in the industry, offer a less risky way of getting into the health care business. Let us have a look at some of the top rated businesses and what they provide their franchisees with. Before we get right into healthcare market opportunities, lets take a look at some of the challenges the industry is currently facing. With the rapid growth of digital technology in business, we will see the rise of medical apps and services that allow patients to be evaluated from home. While technology is changing the way patients are seen, organizations are working to consolidate the cost of healthcare via acquisitions, mergers and affiliates. Hospitals and offices are collaborating more than ever to find lower costs and to avoid outsourcing hiring to a recruitment company. Even though these healthcare industry challenges exist, there are plenty of opportunities in the industry. The healthcare industry is also rife with opportunity when it comes to applications of smart technology. The Internet of Things explosion has revolutionized many areas of business. The healthcare implications for this technology are huge. The IoT can be used in a number of ways to improve the patient experience and simplify healthcare procedures. That leaves a whole lot of room for entrepreneurs to capitalize on the wide open market. 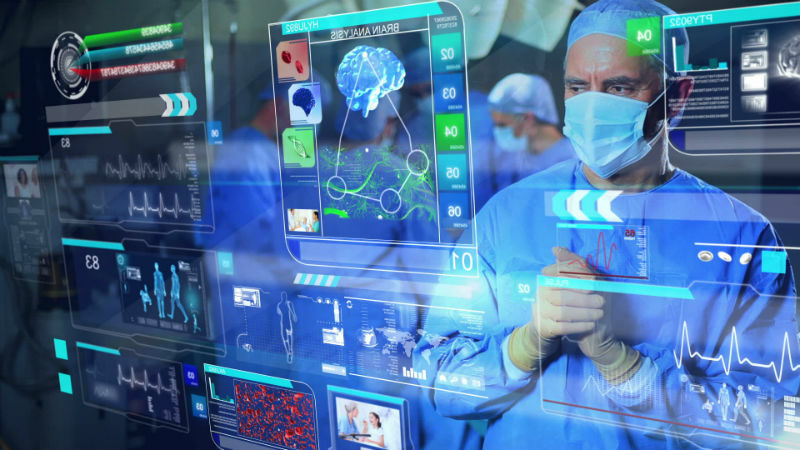 If you want to break into the healthcare industry business, consider developing IoT medical gadgets. Interim HealthCare is one of the largest brands in the health care industry with experience of nearly five decades. They mostly cover the home care health industry, which is projected to be one of the safer bets when it comes to franchise rankings in the next few years. In addition to home care services, the company also provides palliative, pediatric and health care staffing demands. With Interim HealthCare, you can assure your customers of a comprehensive and total medical support system. The franchise support and guidance are exceptional too, with extensive training and marketing advice for your business needs. To get into the health care industry, you can choose to be an Interim franchise owner to serve people face to face. On the technology side of the health care industry, GoTelecare offers an innovative alternative to the health care services, by providing comprehensive telehealth video consultation. The services provided help in greatly reducing the cost of billing for your customers, thereby also ensuring a broader market reach for your business. As a franchisee owner, the only task required to be done on your part is to acquire clients. This is surely an exciting way to venture out in the industry and with zero royalty fees, GoTelecare could be a very wise early investment in the health care technology industry. That makes for a great way to make money without having to invest more money into your Paulson Investment Company account. With the increasing market demands and an exciting range of services offered, the health care industry is all set to continue growth in the next few years. If you can align your passion or entrepreneurial skills with the industry needs, you would stand to make some huge profits. Of course, you have the option of starting your own business all together too.